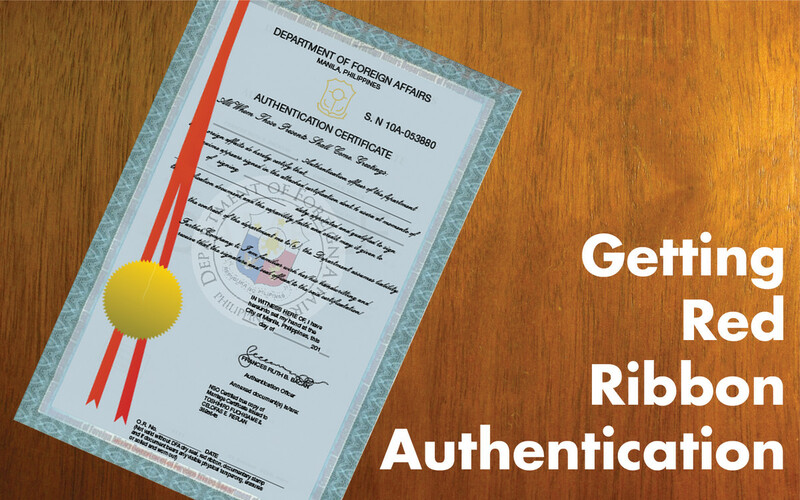 The Hundred Islands National Park, more commonly known as the Hundred Islands, is a protected area in Alaminos City, Pangasinan in the Philippines. 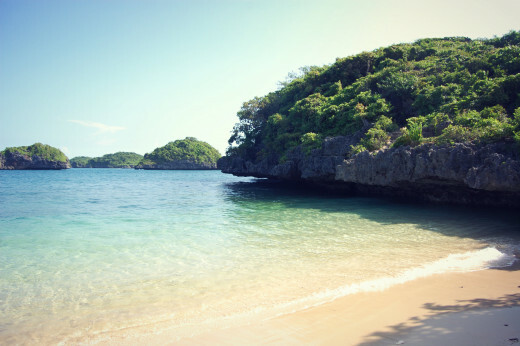 Out of the 123 islands of the national park, only a few islands were developed for tourism including the Governor's Island, the Children's Island, the Marcos Island and the Quezon Island. Alaminos is 5 to 6 hours away from Metro Manila. A number of bus companies located in EDSA Cubao, Quezon City have direct trips to Alaminos including Victory Liner and Five Star. We took the 11:50 pm trip of Victory Liner (there are two Victory Liner stations along EDSA, the one with the trip to Alaminos is the one on the right side of EDSA southbound). By 4:30 am, we were already at the Alaminos bus station. Tricycle drivers welcomed us and offered to take us to Lucap wharf for 90 pesos. Before arriving at Lucap wharf, the tricycle driver arranged for our boat rental. 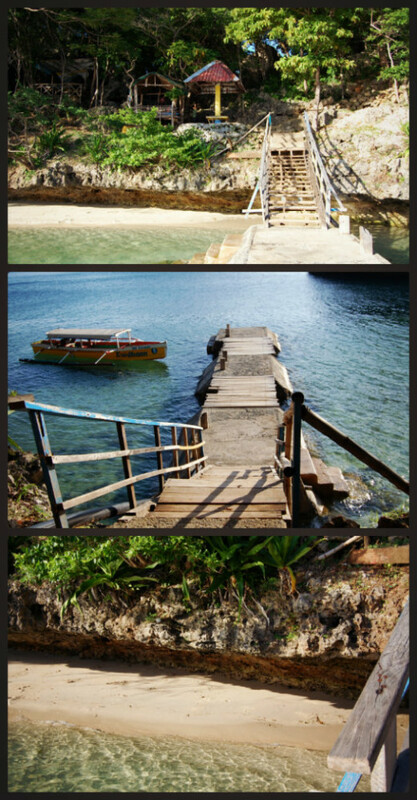 We agreed to take the medium boat (6-10 persons capacity) for a day trip to the islands for 1,400 pesos. Lucap wharf was around 15 minutes away from the Alaminos bus station. It took a little while for our tour guides to prepare our boat so it was already past 5 am when we left Lucap bay. 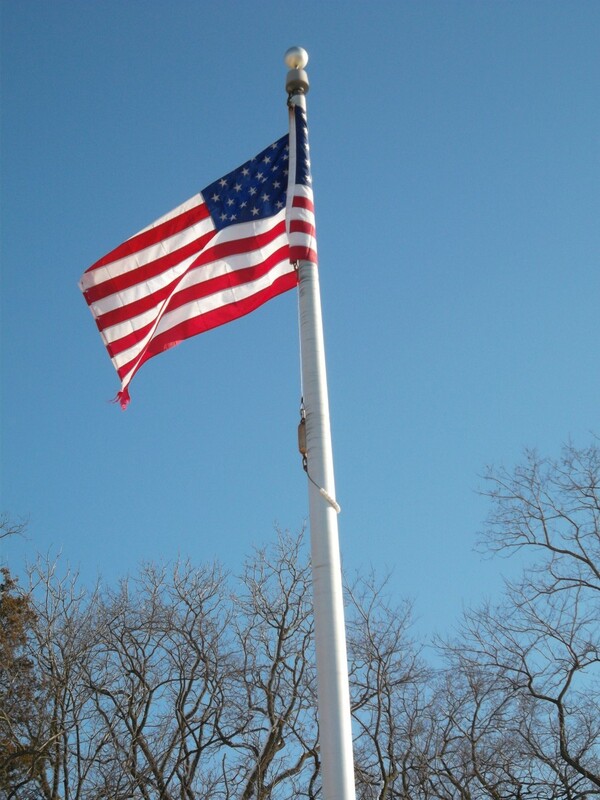 After 10 to 15 minutes, we arrived at our first stop, the Governor's Island where we had a perfect view of the sunrise. 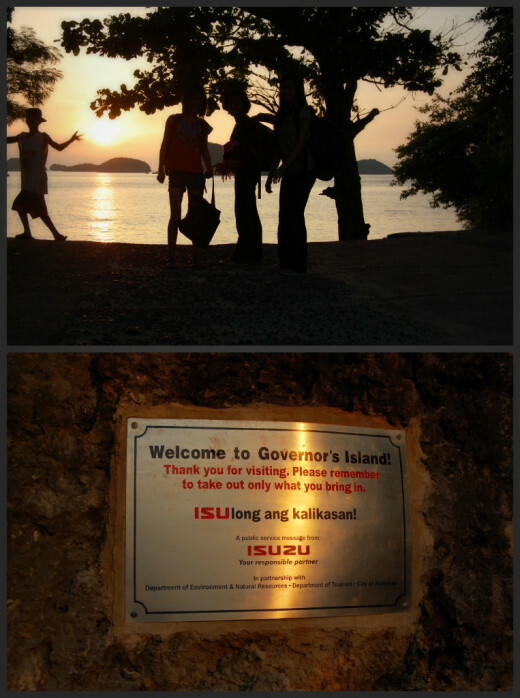 After appreciating the sunrise and the Governor's Island beach, we decided to climb up the island. After a hundred and twenty-three steps, we reached the Governor's View Deck where we were able to find a 360 degree view of the Hundred Islands. We also had our breakfast there while enjoying the view. We left just after sunrise.The next island was only a few minutes away from the Governor's: Cuenco Island was our second stop. 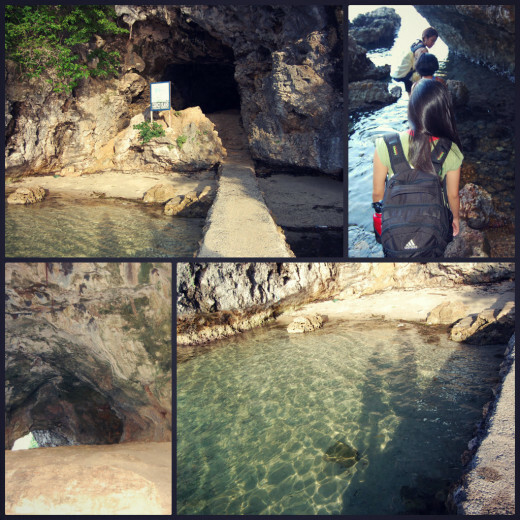 Cuenco Island has a cave tunnel which led us to the opposite shore. 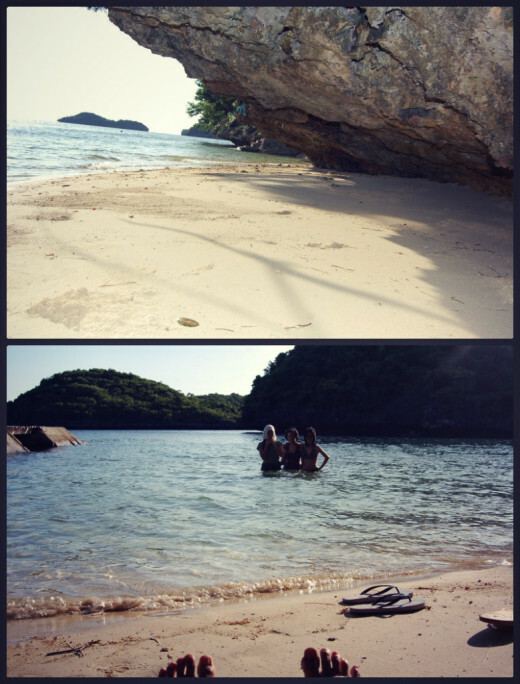 We dipped our feet in the waters, strolled a bit, took a few pictures and then proceeded to one of the most developed islands in the Hundred Islands National Park, the Children's Island. The beach was quite small but because it was off season when we visited the islands, we enjoyed swimming in the area because we were the only people around! There were nipa huts for rent on the island for those who want to spend an entire day on the island. We didn't want to leave the Children's Island waters yet but our tour guide told us that there were more beautiful beaches awaiting us so we left after staying on the island for about an hour. 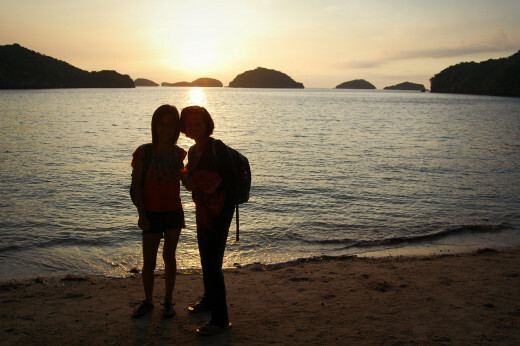 Our fourth stop was at Marcos Island, the island with the most beautiful beach according to our tour guide. 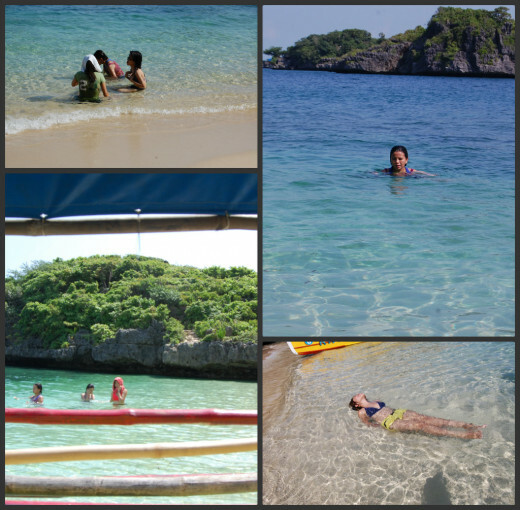 True enough, its crystal clear waters was beyond beautiful! Our tour guide brought us to the Imelda Cave and challenged us to its famous jump challenge but I was too scared to jump. One of my friends was up to the challenge if only one of us would jump with her but no one did! The beach was so relaxing and the entire island was just so lovely. We had so much fun that we did not leave until we were sunburned! We left Marcos Island at around 11 am, had a quick lunch in our boat and headed straight to most developed island, the Quezon Island! 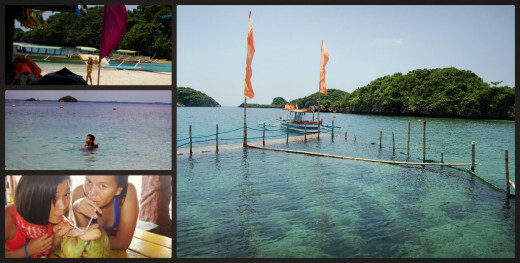 We decided to go back to Children's Island where we spent the rest of the afternoon relaxing, swimming and chatting. The water level was rising and falling occasionally and there was barely enough dry sand to return to at one point that we had to leave our camera in the boat. We stayed there the longest and unwillingly left after another boat arrived because we selfishly wanted the beach for ourselves! 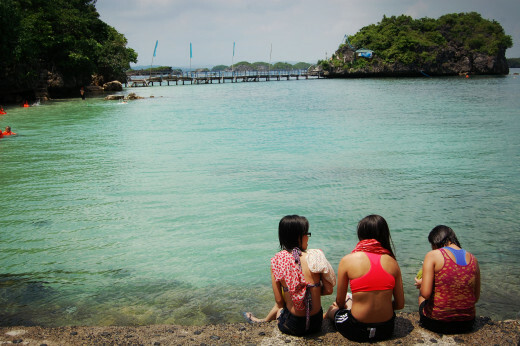 Aside from island hopping, snorkeling and kayaking, tourists are encouraged to dive and see the giant clams and fishes. While there are cottages for overnight trips, some people also prefer camping. We had our late lunch at around 4 pm in the afternoon. We initially planned to stroll around the town but did not have enough time because we enjoyed and spent too much time on the shores of Children's Island. And because we only planned for a day trip, we had to take the 5 pm bus to Cubao to be back in Manila before midnight. We went home and told everyone that of the 1,107 Philippine islands, we saw 123 in one day leaving us with only 984 islands to explore! 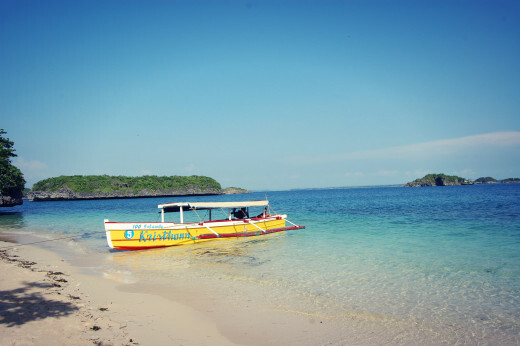 Do you think the Hundred Islands National Park is worth visiting? Hi guys, we’re plannig to visit pangasinan, I found some information here, http://aboutfilipino.com/ilocos-tourist-attraction... but I think it is worth if advice comes from you who already experienced Pangasinan. By the way, could you please mention what are the places worth to visit in the province. You have a lot of great photos and good information too. Great for someone planning a trip -- or this hub might just tempt them to go . . .